DOLE, Robert Joseph, (husband of Elizabeth H. Dole), a Representative and a Senator from Kansas; born in Russell, Kans., July 22, 1923; graduated, Washburn Municipal University, Topeka, Kans., with an undergraduate and law degree in 1952, after attending Kansas University 1941-1943 and University of Arizona 1948-1949; during the Second World War served as a combat infantry officer in Italy; was wounded twice and hospitalized for thirty-nine months; awarded two Purple Hearts and the Bronze Star with an Oak Cluster for military service; admitted to the bar and commenced the practice of law in Russell, Kans., 1952; member, State house of representatives 1951-1953; county attorney of Russell County 1953-1961; elected as a Republican to the Eighty-seventh Congress and to the three succeeding Congresses (January 3, 1961-January 3, 1969); elected to the United States Senate in 1968, reelected in 1974, 1980, 1986, and 1992, and served from January 3, 1969, to June 11, 1996, when he resigned to campaign for the presidency; majority leader 1985-1987, 1995-1996; minority leader 1987-1995; chairman, Committee on Finance (Ninety-seventh through Ninety-eighth Congresses), Special Committee on Security and Cooperation in Europe (Ninety-ninth Congress); chairman, Republican National Committee 1971-1972; advisor, President's Delegation to Study the Food Crisis in India 1966; advisor, U.S. Delegation to Study the Arab Refugee Problem 1967; advisor, U.S. Delegation to the United Nations Food and Agriculture Organization 1965, 1968, 1974, 1975, 1977, 1979; member, U.S. National Commission for the United Nations Educational, Scientific, and Cultural Organization 1970 and 1973; member, Commission on Security and Cooperation in Europe 1977; advisor, GATT Ministerial Trade Conference 1982; member, National Commission on Social Security Reform 1983; member, Martin Luther King, Jr., Federal Holiday Commission 1984; unsuccessful Republican candidate for Vice President of the United States in 1976; unsuccessful candidate for the Republican presidential nomination in 1988; unsuccessful Republican nominee for President of the United States in 1996; awarded the Presidential Medal of Freedom on January 17, 1997; chairman, International Commission on Missing Persons in the Former Yugoslavia 1997-2001; national chairman, National World War II Memorial 1997-2004; engaged in the practice of law in Washington, D.C., 1997-. Papers: 19 audiotapes (1966-1973) in Westinghouse Broadcasting Company collection, 1945- 1981. Papers: In Edward Lunn Young papers, 192901980. Papers: Correspondence in Curtis Putnam Nettels papers, 1917-1981; and National Federation of Grain Cooperatives records, 1946-1976. Papers: Correspondence in Lawrence Graham Brooks papers, 1897-1981. Papers: In Burton Benjamin papers, 1957-1985. Papers: 1960-ongoing. Congressional papers including correspondence, memos, reports, newsletters, speeches, casework, statements, testimony, campaign and Republican party records. Includes material on hunger and nutrition, rights of the disabled, world trade, Vietnam War, Food Stamp Reform, Equal Rights Amendment, and budgetary issues; audio recordings of Senate hearings; and photographs.119 boxes of material from service in the House of Representatives (1960-1969) is open for research. Senate Leadership Collection, 1985-1996, 641 boxes is open. This collection comprises the legislative and political activities of the Office of the Senate Republican Leader during Senator Dole's time in that position, 1985-1996. These files were maintained by several administrative and legislative staffers, notably Senator Dole's Chief-of-Staff Sheila Burke. The collection documents the Republican Leader's involvement in legislation pending in the Senate, political efforts on behalf of Republican candidates, and the internal workings of the office, including its relationship with the Senator's office in the Hart Building. The collection contains three series: Legislative Relations, Personal/Political Files, and Press Related Materials. Searchable finding aid available on-line. Ca. 50 scrapbooks document House and Senate campaigns and foreign travel. Republican National Committee Chairman records, 1971-1973 are open. Finding aids available online. Oral History 72 interviews conducted by Richard Norton Smith and Brien Williams documenting the life and career of Senator Dole in the Dole Institute Oral History Project. Full audio, video, indexed and keyword searchable transcripts, and audio podcasts available online. Dean, Virgil W., ed. John Brown to Bob Dole: Movers and Shakers in Kansas History. Lawrence: University Press of Kansas, 2008. Dole, Bob. One Soldier's Story: A Memoir. New York: HarperCollins, 2005. Dole, Bob, and Elizabeth Dole, with Richard Norton Smith and Kerry Tymchuck. Unlimited Partners: Our American Story. New York: Simon Schuster, 1996. An expanded version of The Doles: Unlimited Partners (1988). Dole, Robert J. Historical Almanac of the United States Senate: A Series of "Bicentennial Minutes" Presented to the Senate During the One Hundredth Congress. Washington: Government Printing Office, 1989. ____. Great Political Wit: Laughing (Almost) All the Way to the White House. New York: Nan A. Talese, 1998. Margolis, Jon. 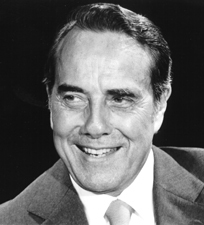 The Quotable Bob Dole: Witty, Wise, and Otherwise. New York: Avon Books, 1996. Thompson, Jake H. Bob Dole: The Republicans' Man for All Seasons. New York: Donald I. Fine, 1994. U.S. Congress. Senate. Tributes Delivered in Congress: Robert J. Dole, United States Congrssman 1961-1969, United States Senator 1969-1996. Washington: Government Printing Office, 1996 (S. Doc. 104-19).